I had a date with my Uber neighbors today. 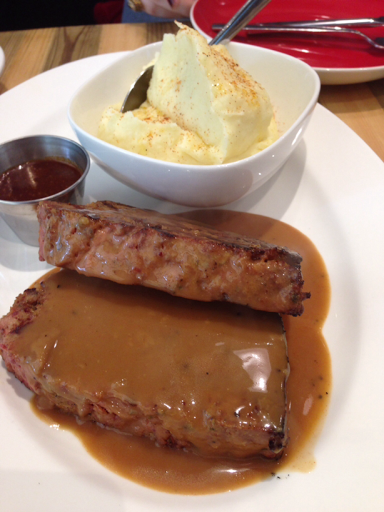 We usually ride an Uber to go to places outside Makati to eat. 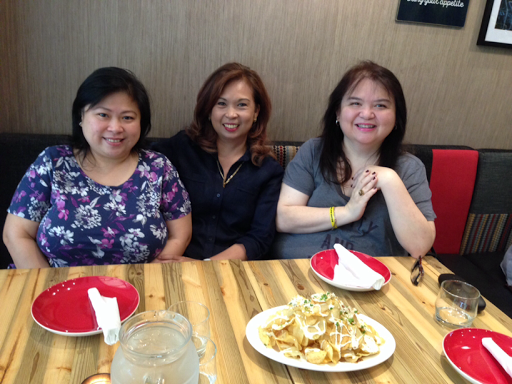 Ate V (Vinnie), FGM (Cindy) and I had lunch at the newly opened Fireside by Kettle in Rockwell. 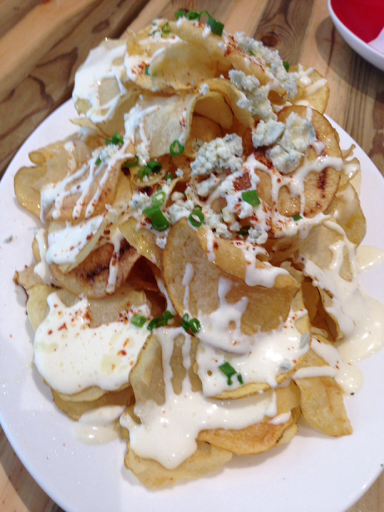 We ordered the Truffle Potato Chips with Blue Cheese. 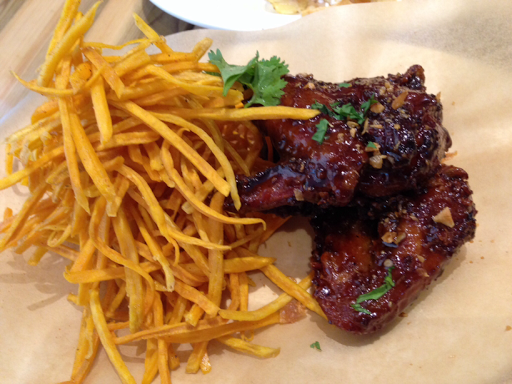 Sweet, Salty and Spicy Wings with sweet potato hay. 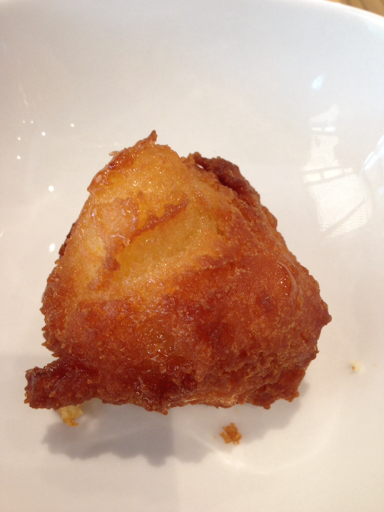 They even let me try the corn doughnut! We plan to meet as often as we can so we can eat and eat! Ate V even named our group, Uber sa Kainan! I'm still eating my "carb" diet. 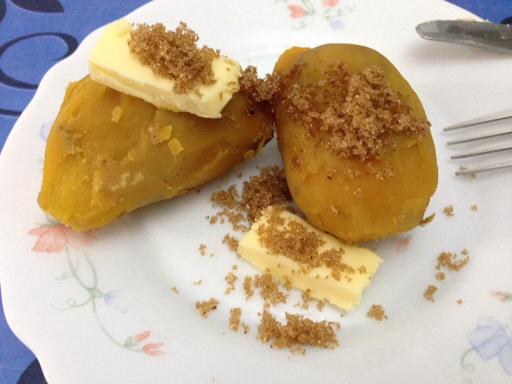 Camote with butter and a little brown sugar for breakfast. 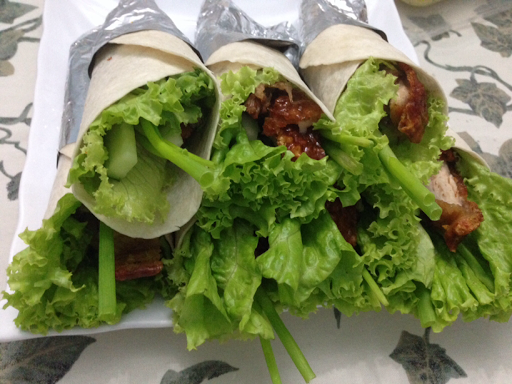 Dinner was 2 pieces of my lechon wrap. Cecille was my guest and she brought Mushroom ravioli. Late night snack was a small piece of boiled camote. I tested my sugar yesterday 2 hours after breakfast. 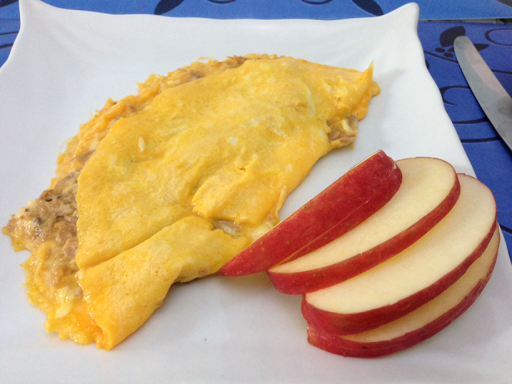 I only ate a 2-egg omelette with tuna and cheese plus 65 gr. of apple. Would you believe the spike in blood sugar was only 19 points?!? Amazing! That was a full breakfast and yet my sugar only went up by 19!!! I really have to pinpoint which kind of food make my sugar go up. 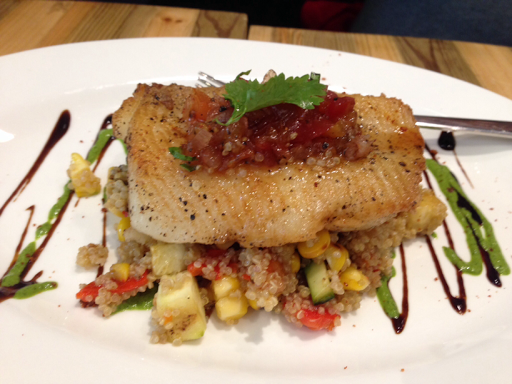 I am very happy because I am beginning to understand how carbohydrates help the body.